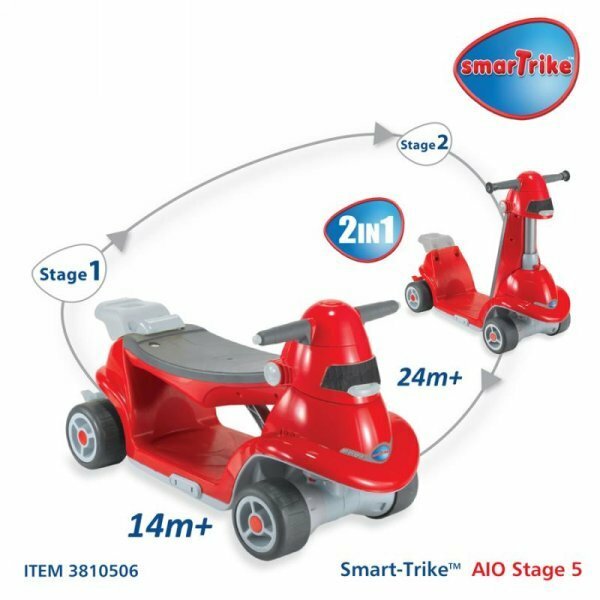 Smart Trike Ride N Scoot is a great way to have your child have fun if they are old enough to steer and go places without you having to push them around. Smart Trike Ride N Scoot starts out as "Ride On" so your child can sit on the seat and steer themselves. As your child grows you have the option to change the Ride N Scoot into a scooter which allows your child to stand up and push and steer as they are old enough. 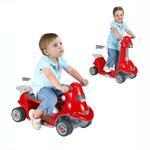 Smart Trike Ride N Scoothas anti skid rubber wheels that keep your child's ride safe and smooth. Smart Trike Ride N Scoot teaches your child motor skills from different aspects as they are older while allowing them to explore in a fun and safe way.